On a recent Called to Coach we spoke with Gallup-certified Strengths Coach, Rajendra Dhandhukia. Rajendra has over 34 years of experience in leadership roles at sales and marketing companies, mostly in the pharmaceutical industry of India. Rajendra first took the Clifton StrengthsFinder assessment in 2011, but he didn’t really study his strengths until 2012. He discovered that while each strength has a balcony, it also has a corresponding basement. Rajendra's goal was to stay in each of his strengths’ balconies and to help his team members do the same. Before he could do that, however, Rajendra had to persuade the other leaders in his company that a strengths-based development approach would not only increase employee engagement, but also improve the bottom line for the entire organization. Rajendra believed that there was a culturally-based aversion to using strengths to drive engagement and productivity. To overcome that barrier, he demonstrated how strengths can help a manager understand his team members on a deeper level. Rajendra gave each of the managers in the company a Team Strengths Grid of their team members’ strengths so they could visualize individual and team strengths. The other managers appreciated these grids because it helped them understand how to leverage their team’s strengths to increase productivity. After convincing the leaders in his company of the benefits of strengths-based development, Rajendra and his colleagues cascaded strengths down to frontline managers and team members. They embedded coaches in the organization to conduct one-on-one coaching sessions, and offered education opportunities so employees could learn about their strengths. All of these initiatives translated into a more successful organization from the top down. To hear more about Rajendra and his coaching experiences and expertise, watch the video above. 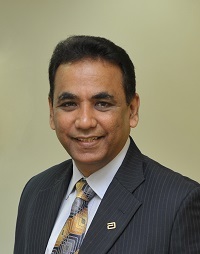 Rajendra Dhandhukia is currently Chief Operating Officer, Abbott Truecare Pharma Pvt. Ltd. Armed with over 30 years of experience in the Indian Pharma Industry in leadership positions across Sales and Marketing, Strategic Planning and Operations. Delivered business objectives, managing and growing large brands, identified new opportunities to drive growth and strategize business operations. Rajendra's top five strengths: Responsibility | Relator | Activator | Developer | Self-Assurance.